Positron emission tomography (PET) scanning technology has now been in place at the UC Davis veterinary hospital for two years. In 2016, UC Davis became the first veterinary hospital in the world to implement an equine PET scanner, and has since added a volumetric PET/CT scanner in 2018. The program continues to expand its research and clinical applications with many exciting developments to improve equine health and performance. UC Davis performs first ever PET scan on standing horse. The Center for Equine Health at UC Davis serves as the U.S. Department of Agriculture’s California Contagious Equine Metritis (CEM) Quarantine and Treatment Station. CEM is a highly-contagious reproductive disease of horses that would cause significant economic losses if it were to become established in the U.S. In 2018, CEH began to renovate the stalls where these imported horses are housed during their stay, as well as the exercise arena and round pen. With the Triple Crown having been won twice in the past four years, horse racing is enjoying being in the spotlight. Consequently, drug testing and racing safety have also been brought to the forefront. At UC Davis, a group of horses are setting the standard for horse racing health and safety. Led by Dr. Heather Knych, a group of researchers with the Kenneth L. Maddy Equine Analytical Chemistry Laboratory are utilizing this herd to perform drug administration studies to determine how drug concentrations change over time in a horse’s system (pharmacokinetics) and the physiologic effects of the drugs (pharmacodynamics). The Center for Equine Health offers layup boarding with individualized care for horses recovering from illness, injury, surgery, or other procedures that require time for healing and rehabilitation. High quality care during this period significantly impacts successful recovery outcomes. Onsite medical care is provided by trained equine health technicians who are on call 24 hours a day, 7 days a week, year-round. In addition, CEH also offers vacation and mare and foal boarding services. The Center for Equine Health has access to the largest group of equine specialists and researchers available anywhere. Our expertise spans the breadth of clinical and basic science disciplines that apply to the horse. 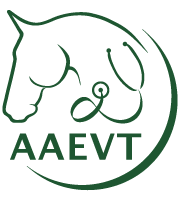 We help to provide support for research projects that contribute to veterinary and scientific advances in equine health and performance and work to make the resulting information available to members of the equine and veterinary communities. Two influential CEH-supported studies that were published in 2018 include research to improve diagnostic imaging reference ranges for neurologic disease and a resident project that investigated the prevalence of respiratory pathogens in horses imported to the United States. The Center for Equine Health is home to nearly 180 teaching herd horses. These horses contribute to research, teaching and outreach in many different ways. In an effort to share with the equine community a little bit about what makes the CEH teaching herd horses so special, we started our Horse of the Month Facebook feature in 2018. Each month we profiled one of our teaching herd horses with a picture, an often tongue-in-cheek description, and a highlight of the ways that each horse contributes to CEH’s mission. Special needs horses find a loving and forever home at Tracy Acres Equine Sanctuary, located in Vacaville, California. Dean and Denise Tracy, who fulfilled their dreams by establishing their sanctuary, rescue horses that often have come from a life of abuse and neglect. Most have arrived in poor condition—some blind, others starved with ribs protruding, while still others with complex medical conditions. CEH is home to approximately 180 horses that comprise the teaching herd, the only one of its kind and size in the country associated with an academic institution. These donated horses have retired from a variety of jobs including racing, cutting, dressage, jumping, reining and pleasure riding. Thanks to generous donors, the Teaching Horse Endowment has been established to provide long-term support for the horses’ well-being and to encourage others to contribute so the teaching herd can be maintained for generations to come. Please join Dr. Finno as she hosts an exclusive Kentucky Derby experience in Lexington, May 1-5, 2019. Enjoy downtown accommodations in the horse capital of the world at the Hyatt Regency Lexington while exploring what makes the Run for the Roses a truly special event— including Dawn at the Downs, the Kentucky Bourbon Trail, working horse farm tours, Keeneland race track, and more! Sit front and center for all the excitement on Derby Day, take in the sights, grandeur (and hats!!) at Churchill Downs. This specialty tour offers an unforgettable way to experience “The Most Exciting Two Minutes in Sports”. For more information, visit alumni.ucdavis.edu/events/kentucky-derby or contact UC Davis Aggie Adventures. The 2018 Horse Barn Annual Production Sale marked the first year the Horse Barn has teamed with the Center for Equine Health (CEH) to include CEH-bred yearlings. This program involved undergraduate students working with the foals three days a week, teaching them ground manners, lunging, and loading. The collaboration between CEH and the Horse Barn not only offered students unique hands-on handling experience, but also provided a desirable mechanism by which CEH could market and sell the yearlings. UC Davis faculty, staff and students treated dozens of horses and other animals, as well as responded to several emergency calls during recent Northern California fires. Veterinarians and students with the Veterinary Emergency Response Team worked in the field performing search and rescue missions, while hospital personnel cared for animals at evacuation centers and on campus. The inaugural Equine Genetics Symposium, hosted by the UC Davis Center for Equine Health and the UC Davis Veterinary Genetics Laboratory, was held on August 18, 2018 at the UC Davis School of Veterinary Medicine. The event featured lectures, discussions and tours focused on current research and testing related to equine genetics and reproduction. A wide array of topics was covered including inherited diseases in horses, parentage, coat color, and performance trait testing, the role of genomics in regenerative medicine, and an update on advanced equine reproductive technology. The Center for Equine Health is excited to be part of the veterinary team that will assist with the care of horses used for the latest varsity sport at UC Davis – women’s equestrian. Considered an emerging sport by the NCAA, the UC Davis equestrian team will compete nationally under the governance of the National Collegiate Equestrian Association against other large public schools like Fresno State, Georgia, and Texas A&M. To succeed with its newest team, the athletic department will partner with the School of Veterinary Medicine and the College of Agricultural and Environmental Sciences – both regarded as world-leaders in teaching and research in their respective fields. Nash, a 12-year-old American Quarter Horse gelding, is a roping horse in local competitions and also works for his family herding cattle. That career was in jeopardy recently after suffering a severe laceration to his lower lip that extended back to his jawline. Have you ever wondered where police horses end up when they retire? Most are adopted out to private sanctuaries or rescue organizations, often times being visited by their former partners. The T.S. & K.D. Glide Foundation on the outskirts of Davis houses eight of them. Operative for more than 20 years, the Glide Foundation has 200 acres of pasture for the horses. Recently, a team from the UC Davis veterinary hospital treated one that has quite a past. Ronnie is a miniature horse born with Locking Stifle Syndrome, a defect that makes it difficult to walk. He was scheduled for euthanasia until Sunrise Horse Rescue stepped in and brought him to the UC Davis veterinary hospital, where board-certified equine surgeon Dr. Isabelle Kilcoyne performed a medial patellar ligament desmotomy to correct the disorder.